When fall rolls around I usually get the urge to sew. And when I don't feel like starting a big project for myself I like to whip up a cute little something for my niece or nephew. 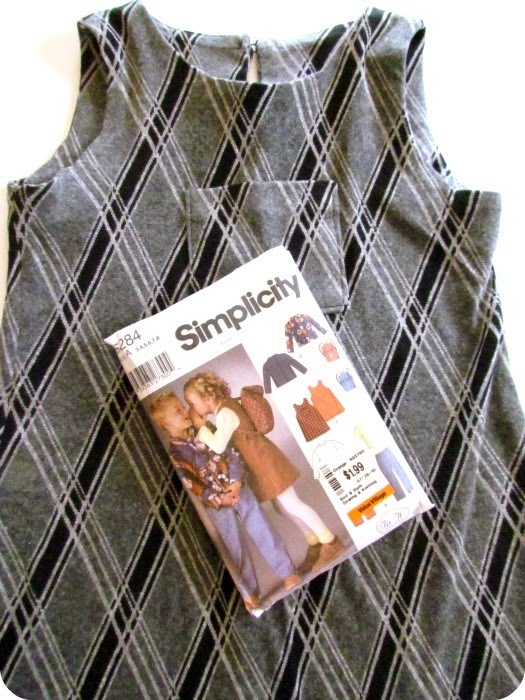 I used Simplicity 5284, which is an old pattern from 2003. But I think they've reissued it because I found it on the Simplicity website HERE. 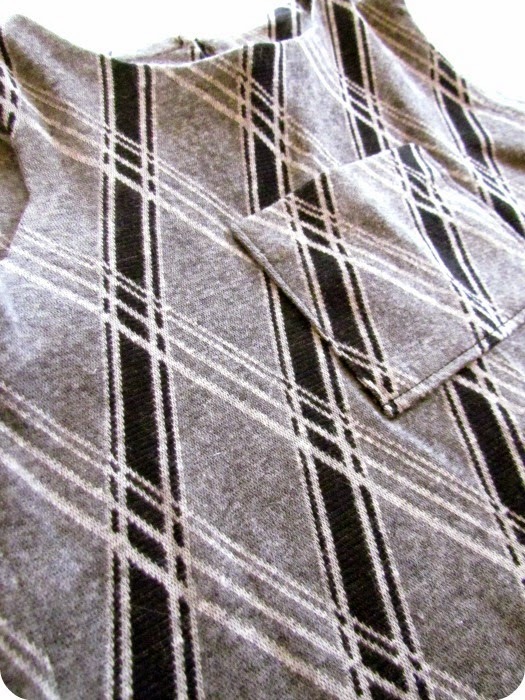 This is a super versatile pattern with a jacket, jumper, pants, and even a little back pack. I can't even count how many times I've used it for both my niece and nephew. This is the back closure, which may not be the easiest for tiny fingers to figure out, but hopefully her mom will be close by to button my niece in. I thought long and hard about matching the pattern on the pocket. In the end, I figured why have a pocket if it's just going to blend in, you should be able to see it! 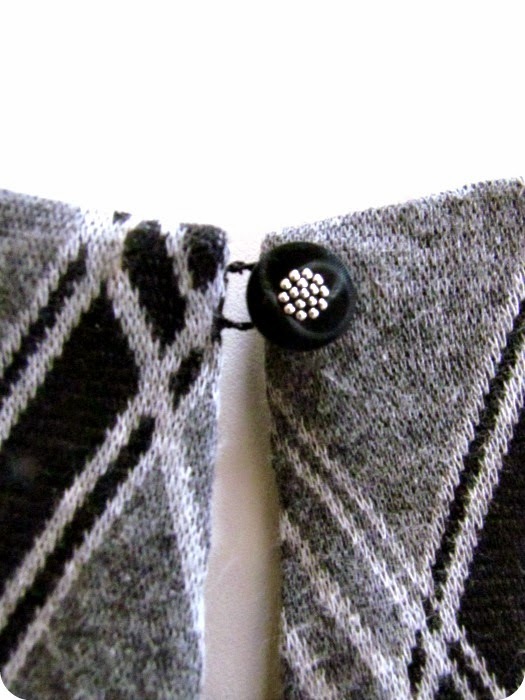 So I offset the argyle print. Do you recognize the fabric? It's a magical bolt of fabric I got from the bargain bin, it never ends! I keep making things with it and there's always more! I have a big roll of fabric like that. I use it and use it and there is still yards of it left. Love the plaid jumper! Thank you for sharing at Make It Monday.